India now is part of an elite group of nations who have demonstrated the flight testing of the futuristic Scramjet Rocket Engine that uses oxygen from the atmosphere that could cut the cost of the launches several fold and help in Indian Space Research Organization’s bid to design advanced air breathing engines. India is the fourth country to demonstrate the flight testing of Scramjet Engine after the US, Russia and European Space Agency. The solid rocket booster Advanced Technology Vehicle (ATV) carrying the Scramjet Engines lifted off and ending a 300 seconds-flight, touched down in the Bay of Bengal, about 320 kms from Sriharikota, the city-headquartered ISRO said. The important flight events—burn out of booster rocket stage, ignition of second stage solid rocket, functioning of Scramjet engines for 5 seconds followed by burn out of the second stage—took place exactly as planned, ISRO said. The vehicle was successfully tracked during its flight from the ground stations at Sriharikota. ISRO said it was the maiden “short duration experimental test” of Scramjet engine with a hypersonic flight at Mach 6, and the ATV, an advanced sounding rocket carrying the engines engines, weighed 3277 kg at lift-off. The space agency said with this flight, critical technologies such as ignition of air breathing engines at supersonic speed, holding the flame at supersonic speed, air intake mechanism and fuel injection systems have been successfully demonstrated. This is akin to "lighting a matchstick in a hurricane condition and sustaining the flame" for six seconds. It said Scramjet engine designed by ISRO uses Hydrogen as fuel and the Oxygen from the atmospheric air as the oxidizer. Usually rocket engines carry both fuel and oxidizer on board for combustion, but these newly developed engines with air-breathing propulsion system will use oxygen from the atmosphere thereby reducing the lift-off mass of the vehicle. It will also help in bring down launch costs substantially. The Scramjet engine will also be used eventually to power ISRO’s reusable launch vehicle at hypersonic speed. 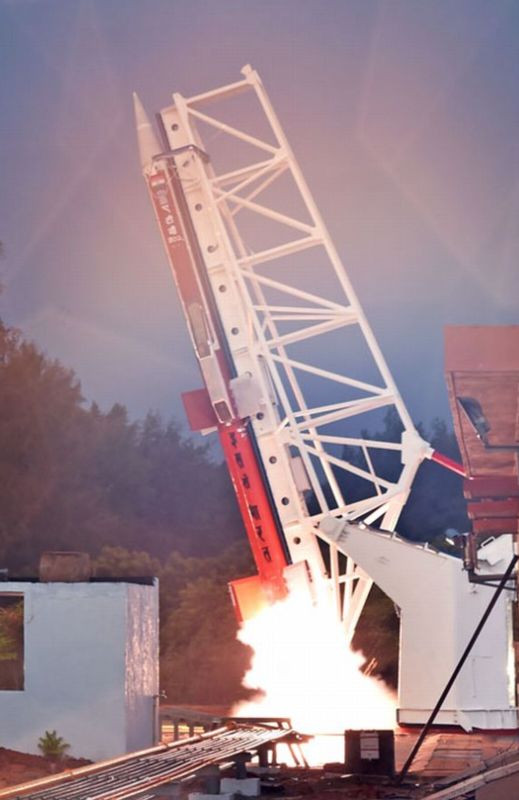 ATV is a two-stage spin stabilized launcher with identical solid motors (based on Rohini RH560 sounding rocket) as the first as well as the second stage (booster and sustainer), ISRO said. The twin Scramjet engines were mounted on the back of the second stage. Once the second stage reached the desired conditions for engine “Start-up”, necessary actions were initiated to ignite the Scramjet engines and they functioned for about 5 seconds, it said adding that today’s ATV flight operations were based on a pre-programmed sequence. President Pranb Mukherjee, who is in Bengaluru, congratulated ISRO for the successful test. “Hearty congratulations ISRO on successful test of futuristic scramjet rocket engine, India is proud of you,” he said in a tweet.